We had an incredible final Sunday in Iwamizawa with the believers of Vine Church (photo above). We have enjoyed relationships and ministry partnership with Pastor Nakajima for many years and it was a joy to serve him and his congregation every month with preaching, training and fellowship together. I (Troy) preached my final sermon from Philippians 1:3-6 and we enjoyed a powerful time of worship together (including the Lord’s supper). After the amazing worship service together, we went to the Nakajima’s farmhouse out in the country and enjoyed a special BBQ farewell party where we enjoyed lamb, vegetables and Baskin Robbins Ice Cream! They continued to serve and surprise us when they presented a beautiful picture frame that included photos from our year as well as pictures of the church families. They also presented a special movie of photos from our year of ministry. Lastly, we were blown away by the thoughtfulness and gesture to plant a “Cooper grape vine” in their garden. They planted it in honor of our year of ministry and said they hoped the fruit it produced would be equal to the spiritual fruit they are trusting the Lord to produce in Iwamizawa as they take steps to implement the training and trust the Lord to accomplish their vision for disciple-making. We have enjoyed two back-to-back special Sundays of farewell (last week at Grace Church Sapporo, photo below). We are so thankful to the Lord for the many years of friendship and ministry partnership with these churches and believers (especially this past year). We cannot wait to see what He continues in Hokkaido in the years and decades to come (or until the Lord returns). Thank you for your prayers and support. You are actively involved in what the Lord has been doing here and will continue. We want to share with you and thank the Lord along with you. With only 5 more days remaining in Japan, we appreciate your continued prayers for us as we strive to finish strong and transition well. Have a wonderful day in Christ! 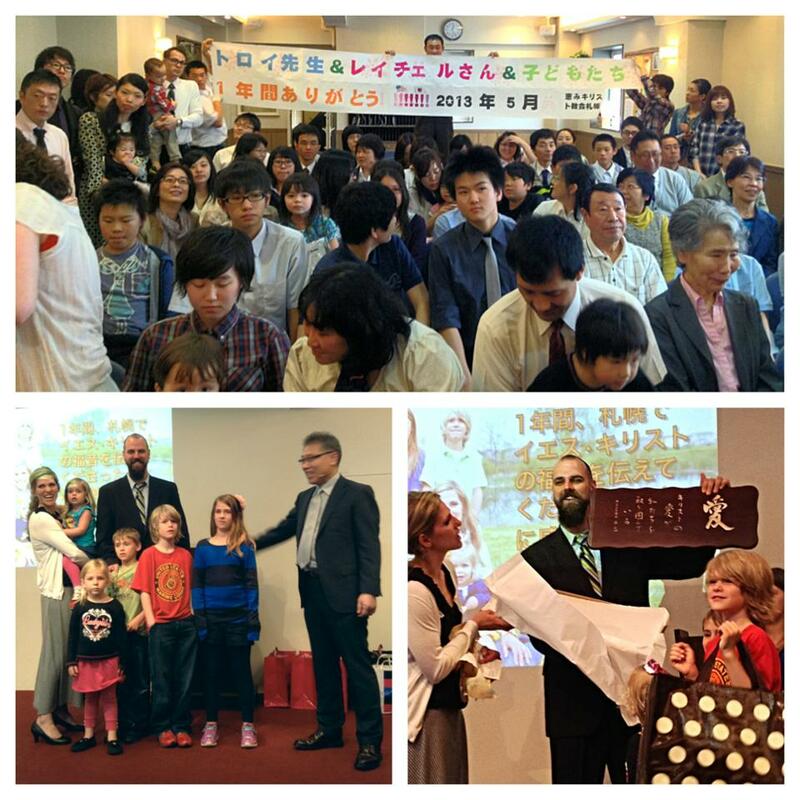 Our final Sunday with Grace Church Sapporo (May 19) was very special. 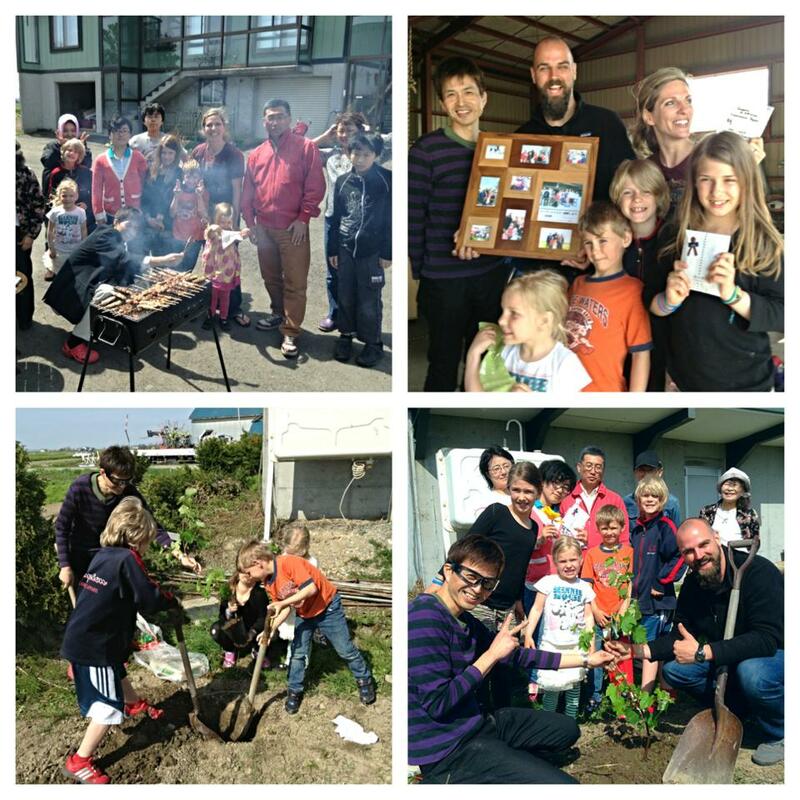 Troy preached at believers’ service and the outreach service and in-between they had a farewell party where they presented our children with gifts and our family with a special plaque and photo frame. It was a very special time to celebrate what the Lord has done as they send us back to the mission field of USA! Departing for our final monthly trip to Iwamizawa for preaching, training and fellowship with Pastor Nakajima and the believers of Vine Church Iwamizawa. such a blessing bro!! 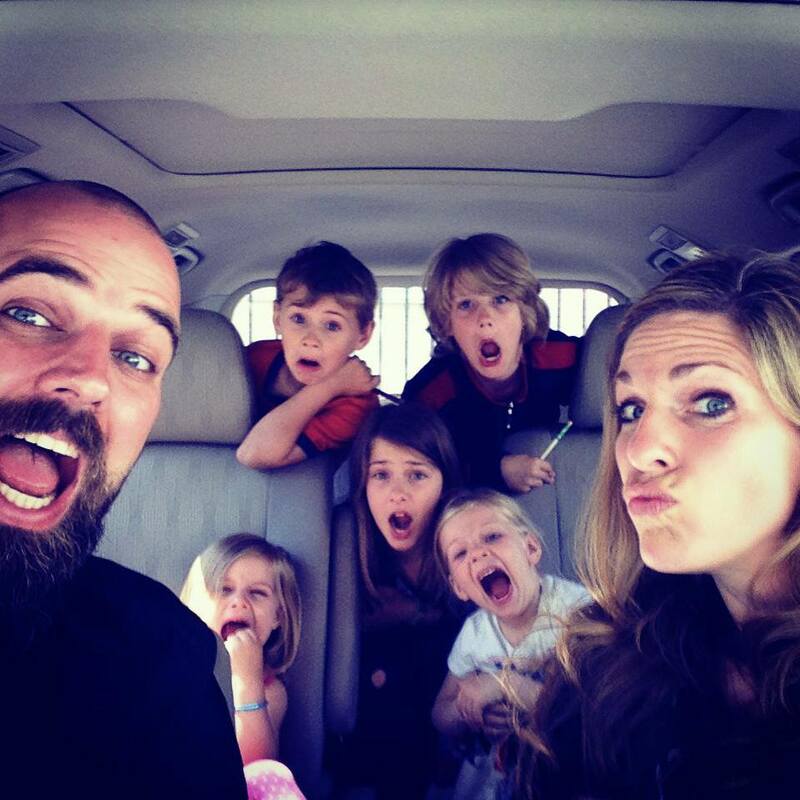 Praise the Lord for the sweet year you guys have had! Faithful stewards! !